Platen Size :::: 11.8" x 11.8"
Mold Thickness :::: 7.9" min. Open Daylight :::: 15.7" max. Approx Weight :::: 7606 lbs. Only 114 hours of use! It is rare to find a used machine on the market that has seen as little usage as this Sodick. This vertical molder is in excellent shape. It ran the following materials: PBT, ABS, and PA 6/6. Looking for another good option that is still available? Please check out these other links below or give us a call at 732-691-7153 - we are ready to help you! 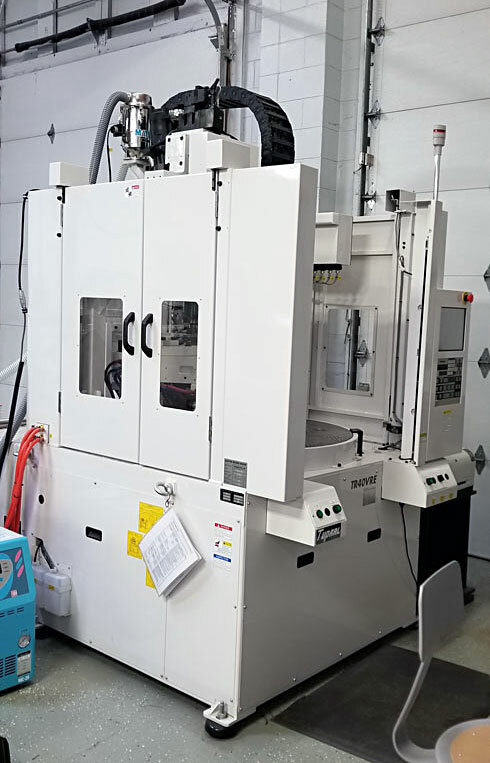 We have many used injection molding machines that are still available for sale. Before you go, please check out our inventory or why not try our search team? We can help you locate what you need.